As we wrap up the month of Rocktober and move into November, it is only fitting that we have this song for today. Here in Oregon, it's our Rainy season, so in my mind, it's quite perfect for a day such as today. 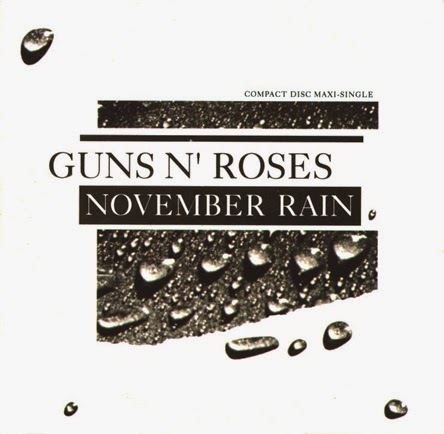 "November Rain" is a power ballad by American rock band Guns N' Roses, written by lead singer Axl Rose and released as a single in June 1992. It features a sweeping orchestral backing and is one of Guns N' Roses' longest songs. The song peaked at number 3 on the U.S. Billboard Hot 100 chart, making it the longest song in history to enter the top ten of that chart. While not a huge fan of Guns N' Roses, I've always enjoyed this video.